All types of small businesses rely on shipping companies to deliver products and choosing the right company matters to both your customers and your bottom line. We looked at the most popular shipping options and decided to review FedEx, UPS, and USPS. These companies cover the range of options for small businesses in terms of rates, services, and options. We recommend USPS as the best shipping partner for small businesses because they have the most competitive rates, free pick up, free Priority and Express Mail packaging, plus a full range of standard and expedited delivery options that fill most small business needs. If you’re heavily reliant on the USPS for your shipping needs, you might want to try Stamps.com. It allows you to instantly buy and calculate exact USPS-approved postage and print the postage from your own home or office printer, eliminating trips to the post office altogether. Click here to sign up for Stamps.com and get a 4 week trial and $5 in free postage today. Who it’s Best For Mail & parcels up to 70-lbs. Parcels 3-lbs. to 150-lbs. Parcels 3-lbs. to 150-lbs. This article is written for businesses who are handling their mailing and shipping in-house. If you’re overwhelmed with warehousing and shipping, you don’t have to do it all yourself. Check out our order fulfillment guide to learn how to outsource and start saving yourself valuable time and money. Overall, USPS is our top shipping choice for small business. It’s the obvious choice for sending letters and other mail items, but USPS also offers a full range of cost-effective parcel shipping options including ground, priority, and express services. USPS Priority Mail rates are a bargain for shipping parcels under 3-lbs. On these, USPS often beats both UPS and FedEx Ground by a few dollars and parcels arrive faster. USPS also has flat-rate Priority and Express shipping boxes that are a great value for small, heavy items. If it fits, it ships for a set rate, no matter the weight. FedEx One Rate competes on the flat-rate service, but UPS doesn’t offer a flat-rate option. Another cost-saving plus is USPS’s wide range of free Priority and Express Mail packaging. That alone can save shippers as much as $1 per shipment compared to buying boxes to ship via UPS or FedEx. The USPS also offers free shipment tracking and delivery confirmation on all of its parcel shipments. Its tracking isn’t as detailed as UPS and FedEx, but in most cases it gets the job done. They can even email you upon delivery. Speaking of delivery, USPS actually has a very high on-time delivery ratio across all services. But when there are delivery or lost package issues, they can be slow to respond. In resolving package delivery and damage issues, USPS is historically the least helpful of the three. Many companies that use USPS to ship low-cost goods understand this and simply write off the occasionally lost package rather than fighting a claim. FedEx and UPS tend to be more proactive in resolving lost or misdelivered package issues. But the claim process can still be a chore, especially on damaged shipments. Overall, USPS is a great choice for small parcel shipping. If your business ships small parcels in low quantities, Stamps.com is a convenient way to calculate, buy, and print USPS-approved postage, all from your own printer. They start you with a 4 week trial plus $5 in free postage when you sign up. Click here to get started. While USPS is great for shipping parcels under 3-lbs., UPS and FedEx often prove a better value for parcels over 5-lbs., and for shipments where up-to-the-minute tracking and on-time delivery counts. While USPS tends to have the best small package rates, there are a few scenarios where UPS and FedEx are cheaper. In particular, their rates are better if you want to ship heavier items economy. As you can see on our charts below, ground shipping of a 5-lb. package to certain locations is several dollars cheaper with UPS and FedEx than with USPS. For short distances, both FedEx and UPS can ship a 5-lb. ground package faster than USPS, and the delivery days are guaranteed. Another benefit to UPS and FedEx is that they can ship packages that weigh up to 150-lbs. The weight limit for USPS is 70-lbs. These are the exceptions, however. By and large USPS rates are more competitive. * Note – UPS and FedEx guarantee their ground delivery times. So, it can be cheaper to use ground than express for shorter transits. It arrives just as quickly for far less. * Note – USPS doesn’t guarantee 3-Day delivery to all locations. If business-critical, FedEx or UPS are the better guaranteed choice. * Note – USPS doesn’t guarantee 1-Day delivery to all locations. If business-critical, FedEx or UPS are the better overnight choice. It’s important to note that we show the USPS online account rate and the UPS and FedEx retail rates in the charts above. These are rates that any occasional shipper pays when printing labels online. Volume shippers like ecommerce companies or anyone that ships regularly can receive discounted rates from all three carriers, which can dramatically lower costs depending on your volume and the services you use. With Stamps.com you can get discounts you can’t get at the Post Office, even if you’re not a volume shipper. Get started today with a 4-week trial and $5 in free postage. Also, don’t forget that both FedEx and USPS offer a flat-rate box option, something that UPS doesn’t provide. With flat-rate shipping, pricing is based on the box used, which is provided by the carrier. Weight is not a factor here. If it fits, it ships at a set rate. This can be a great value, especially for shipping small, heavy items. Here’s how FedEx and USPS compare in flat-rate shipping costs. * Note – FedEx guarantees the 3-day delivery time, USPS is not a guaranteed time. Now that you see how shipping rates and services stack up among our three carriers, let’s examine the finer details of each shipper. Each of our three top shipping companies offers a full range of delivery services, from standard ground transit to overnight deliveries, plus you can find same-day options in certain areas. In comparing services, you’ll often find that one is faster and/or cheaper to one delivery area, but another beats them for other locations. So it’s always best to compare rates and time in transit among all carriers when shipping. In fact, volume shippers should use shipping rate comparison software to ensure that every package ships with the most economical carrier. First Class Mail and Parcel. All three carriers make it easy to get your shipments on their way and, in some cases, they even help you out with free packaging. USPS has the most locations with one or more Post Office locations in every ZIP code nationwide. Plus you can purchase postage and drop mail products at most retail mail centers, including the UPS Store. Of course, UPS and FedEx have widespread drop locations, too, plus pickup is available from all three. 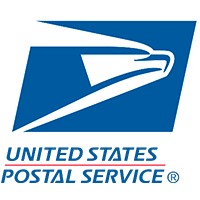 USPS: The US Postal Service has Post Office locations everywhere nationwide. Plus you can purchase postage and drop USPS shipments at most retail mail centers, including UPS Stores. If you purchase and print your postage or mailing labels online, you can leave items for pickup with your daily mail. Or, if you have a number of parcels for pickup, or ship in volume regularly, you can set up free one-time or repeat pickups on USPS.com. USPS has a large selection of free Priority and Express Mail packaging to choose from which can save you on shipping supply costs. Of course, you can also use your own boxes and mailers. 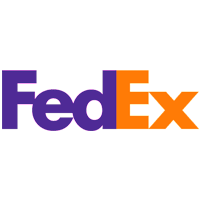 FedEx: FedEx doesn’t have quite as many service locations as UPS, but you can find FedEx drop boxes or mailing locations fairly easily. Like UPS, you can ship via FedEx at many retail mailing centers and at popular business retailers including Staples and Office Depot. FedEx also has drop box locations scattered around most cities and towns to collect pre-labeled flats and small packages. UPS: Boasting more than 63,000 locations worldwide, it’s easy to find a UPS drop-off location. 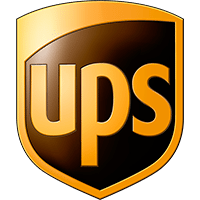 In addition to UPS service centers and numerous UPS Stores in shopping centers, you can also ship via UPS at popular business retailers such as Staples and Office Depot. If you can’t go to UPS, UPS will come to you, but they do charge for pickup service. You can schedule a one-time pickup or, if you’re a regular business shipper, you can add daily or selected-day pickups to your account for a weekly fee. If you’re a daily shipper, UPS will pick up all of your shipments together: Ground, 2-day, Next-day, at one time. This differs from FedEx which requires you to request Ground and Express pickups separately based on what you’re shipping that day. For packaging, UPS does provide a few free envelopes and mailing boxes, but only for Express services. For Ground shipments or to ship Express items that don’t fit in their limited box assortment, you’ll need to purchase packaging. All three carriers offer shipment tracking at no additional charge, but UPS and FedEx both top USPS when it comes to tracking capabilities. They have an almost manic scanning frequency, so you can watch your shipments progress every step of the way. USPS has improved their tracking in recent years, but most services get just a few scans en route. All three also offer basic insurance coverage for free. UPS and FedEx cover the first $100 for every type of shipment service, while the USPS covers $100 on Express and $50 on Priority Mail shipments. Additional insurance can be purchased from all three. USPS: USPS once charged a fee for package tracking but it’s now free for all services, even First Class Mail. Tracking barcodes print on your package labels if you purchase and print labels online, and you can even sign up to receive tracking updates via email. Along with tracking, USPS really has improved its insurance offering, too. USPS now insures Express shipments for $100 and Priority Mail for $50, with no added fees. Additional amounts and insurance on other shipping and mailing services can be purchased to cover up to $5000. FedEx: FedEx and UPS are neck-and-neck when it comes to tracking capabilities and insurance services. However, FedEx offers more coverage, up to $100K, than UPS through its Declared Value Advantage program. But if you’re not shipping high-end goods, their $100 of coverage included on FedEx shipments covers the basics, and you always can purchase more if needed. UPS: Every UPS package label includes a shipment tracking number and scans are collected along every transition stage, pick up through delivery. You can follow the entire journey of your shipment through email updates or by checking tracking history within your online account or UPS shipping software. Every shipment is automatically insured up to a $100 value and additional insurance can be purchased for declared values up to $70K for domestic shipments. All three of our carriers offer shipping rate discounts for business and high-volume shippers. FedEx and UPS do this through negotiated rates. This is a contracted agreement between you and the company which discounts your rates based on your shipping volume. USPS has a variety of business mail and parcel shipping options, but the best and easiest way to get discounted Commercial USPS rates is by using a shipping comparison tool. USPS: Anyone who purchases and prints shipping online with USPS.com automatically gets the discounted Commercial Base rate, which lower than the retail rate you get shipping at the Post Office. But, if you use a shipping rate comparison tool to print labels, you can get even lower Commercial Plus rates. That’s the easiest way to get the lowest USPS rates, but you can also check out USPS volume shipping options. FedEx: Again, UPS and FedEx are neck-and-neck in this aspect of their service. You’ll negotiate discounts based on your volumes on specific FedEx services and can save anywhere from 6% to 20% or more, depending on your volume and shipping methods. Like UPS, you’ll have an account representative if you ship in this type of volume and they’ll set up your discounted rates. UPS: Negotiated rate discounts are available based on your shipping volume. Typically, a small company shipping a few hundred packages per week can save about 6% on Ground shipments and as much as 20% on expedited air services. All negotiated rates are based on past volumes and shipment volume must be maintained to keep the discounts in place. 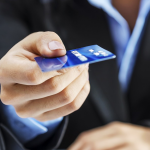 If you ship in volume, you’ll be assigned an account representative who will set up the discount rates for you. No comparison of shipping carriers would be complete without answering the ever-important question: How do you print shipping labels? Luckily, each of our three carriers gives you a variety of simple options for printing labels for your packages. USPS: You can print both postage and shipping labels right from your computer using USPS.com. Or, if you need to print USPS labels in volume or set up a dedicated shipping station, try a shipping rate-comparison tool. It even works with most ecommerce platforms. Of course, you can also go into any Post Office and use their self-service shipping kiosks to print labels or get assistance at the counter. Most retail mail centers handle all types of USPS shipping, too. FedEx: Like UPS and USPS, FedEx has a great online Ship Manager tool at FedEx.com. There, you can print labels, save addresses, and track packages. Like UPS, FedEx also has its own downloadable Ship Manager software. If you primarily use FedEx, this is the most efficient way to manage your shipping. FedEx locations and mailing centers like Office Depot and Staples all offer in-person shipping assistance, too. UPS: You can manage customer addresses, track shipments, and print labels from your computer using UPS.com. But if you’re a volume shipper and primarily use UPS, the free UPS Worldship software will streamline your shipping process. Or if you want to get the best shipping rate on every package, use a shipping rate comparison tool to compare UPS rates against USPS and FedEx, and print labels for all three. UPS Stores and UPS service centers can take care of your shipping needs in person, too. All three carriers offer good customer service when you consider that you can personally interact with representatives by visiting USPS, UPS, and FedEx locations. So, a wide variety of shipping needs can be readily serviced by all three. Where customer service can get dicey is when things go wrong, like a package goes missing or arrives damaged. Here’s what to expect in cases such as these. USPS has locations everywhere nationwide and clerks are always on-hand to assist with shipping. They generally try to resolve your delivery issues too, but if a lost package is not in the facility, they don’t have much power to fix the issue. However, they can initiate a claim for you. You can call the toll-free number or go online to initiate a lost or damaged package claim, too, and get the insurance ball rolling. Here’s another area where UPS and FedEx are neck-and-neck. With FedEx, lost or misdelivered packages tend to be resolved and claims paid within a 30-day period with little fuss. But like UPS, FedEx likes to blame the shipper for damages. Be sure to photo-document the packaging process for anything valuable or fragile, just in case you have to defend a claim. UPS has a crystal ball for finding lost packages, and if they don’t locate a missing package, they’re pretty fast at paying a claim. Expect at least a 7-14 day inquiry period, but if the package is not recovered, they push the claim through within 1-2 weeks. Damaged packages get a little sticky. It’s up to you to prove the damage is the fault of UPS. Fair warning; they love to blame “improper packaging” as a reason not to pay a damage claim. So, if you’re shipping a valuable item, photo-document the packed item before shipping. Or better yet, take it to a UPS Store and let them pack it for you. Does all of this talk of shipping have your head spinning? If you’re ready to hand off your business’s shipping and fulfillment needs to a reliable partner, give ShipBob a call. ShipBob’s fulfillment service specializes in helping small businesses minimize costs and maximize efficiencies for both day-to-day and batch fulfillment shipping needs. Click here to get a free quote. Overall, we like USPS for affordable small business shipping. It’s affordable, convenient and offers standard through express delivery services, plenty of locations, free pickup, and much more. Its Priority Mail small parcel rates are some of the lowest you’ll find. USPS also delivers to post office boxes and other locations like US military bases that are out of reach for UPS and FedEx. But no matter your preferred carrier, you can be sure to ship every package for the lowest possible rate with a shipping comparison tool like ShippingEasy. Do you ship occasionally or daily for business? Which carriers do you prefer for your particular needs? We’d love to hear your thoughts and insights in the comments below. There are other operational factors that can be explored in this article. For example, many customers have complained about USPS agents signing the packages themselves. In addition to being unlawful, there is another downside to it. If you put a claim for a package that was not delivered but had a forged signature, there is no way for the carrier to reimburse you for the package. There have been many cases where customer grievances have not been addressed because of the forged signatures. Probably the most number of cases has arisen from USPS. UPS also does come in next with the same problem. Maybe a little more research into this can throw some light on the what measures do these carriers take to validate the integrity of the deliveries. These cases have been reported to us at StorePep. Thank you for sharing your insights with our readers. For high-value shipments, are there any insurance exclusions – i.e. one of a kind rare books? You can buy additional insurance for high-value items with any of these shippers. There probably are certain exclusions, you’d need to call to find out the specifics on what you want to ship. Your review ignores the claims process, care of handling packages, and actual delivery service. We have found that with the recent surge of online shipping, new driver hires, multiple handling contractors, delivery service quality is declining significantly, while customer cost increases continue to climb. All carriers damage packages due to careless handling, despite protective packaging efforts by shippers. UPS has no incentive to handle packages with care. Our damage is sky rocketing. Claims our difficult to process and time consuming. UPS Insurance carrier is Crowder out of Georgia and the program appears to be never pay. FedEx claims their drivers have an incentive to deliver the packages without damage claims. That appears to be the case. Our organization recently left UPS due to increasing shipment damage. We also are fielding large number of calls where neighbors are delivering packages to the correct address, that were dropped off at wrong address, so on and so forth. Bottom line, not enough carrier competition. Like to see an in-depth performance review metric comparison on all carriers. Thanks for your insight and I agree, this is an imperfect industry. Unfortunately, the in-depth performance metrics you mention are closely held by these companies so I can’t get to it to do the type of comparison you’d like to see. I hope you’re able to find the right combination of carriers and claim reps to minimize the issues you’re facing. Personally, I always pulled my UPS and FedEx account reps into my problem claims and they were very helpful in resolving these quickly and in my favor. If you haven’t tried that yet, I would! Good luck! Hey Mark, Not getting through customs, as Krista said comes down to the correct paperwork. This is also a benefit of working with a carrier like UPS instead of USPS when it comes to international shipping because USPS doesn’t have good customer service available to help you get it through if it does get pulled aside. Mark Shoot me an email at Brent.Sanders(at)worldoptions.com and I will show you how to get packages like that through customs faster and easier and also get you a discount on UPS international so it will compete with USPS rates but with UPS tracking and fast shipping. I have never had a shipment stuck in customs longer then 36 hours. We had great luck with USPS Priority over the years for U.S. to Canada, UK, AU, EU shipping — NOT USPS Standard, mind you — that’s a black hole for international! However, for large or high-value shipments (around $100 product value and over), we went with UPS or FedEx. At that point, both we and the customer were willing to pay more for the added tracking. Thanks for the input! Customs is its own monster and for small shipments, you’re at their mercy. As long as you included the proper documentation they should roll through, but there’s no time guarantee with regular Priority since that’s often at the whim of the receiving country. Good luck! What percentage of packages are lost or damaged for each courier? I’ve never seen this data reported. From personal experience, no carrier is perfect. In my personal experience shipping 100-200 orders per day, USPS actually had the fewest lost/damage issues, FedEx and UPS each had 2-3 each month. This was out of about 3000+ total parcels per month if that helps.